Interested in Security Work? A.S.P. 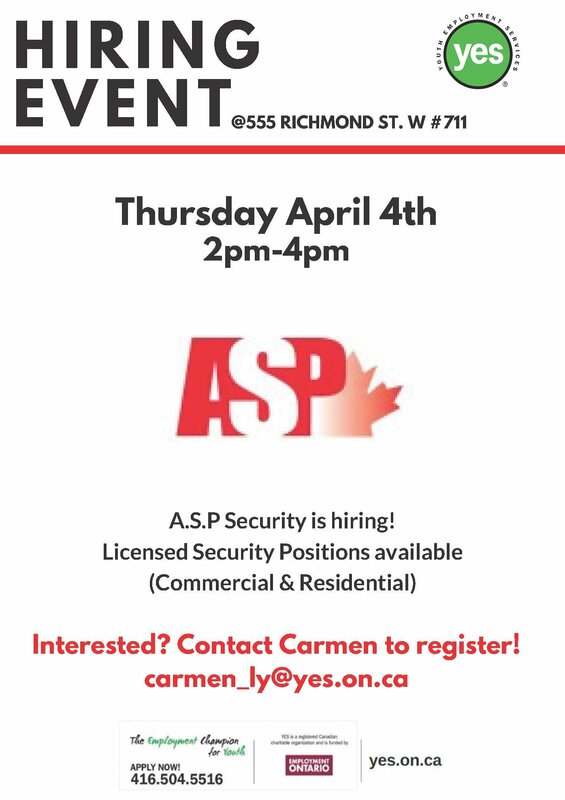 Security is hiring! Commercial & Residential Licensed Security positions are available. Toronto Youth Job Corps Program Starts April 8th!